Marketing is always evolving, and it’s changing now more than ever. As a result, modern marketers are constantly on the lookout for new trends and cutting edge strategies. Influencer marketing or blogger outreach has become one of the most cost-effective strategies for acquiring and retaining new customers in recent years. If you’re trying to raise the profile of your business and see higher profits, you’ll want to identify some strong blogger outreach tools. Blogger outreach tools let you know how well your content is performing so that you can adjust and improve it. There are a number of different tools you can use for these purposes, but choosing the right tool for your business is important. Traackr: Traackr is an excellent way to pinpoint the strengths and weaknesses of your blogger outreach. It allows you to see a score for each of your influencers so that you can determine which ones are most effective. Traackr generates this score based on two factors; the reach your influencers have, and their relevance. Tomoson: Tomoson differs from many other outreach tools in that it doesn’t help you reach out to influencers directly. However, it still offers something very valuable, especially at the early stages of creating a blogger outreach strategy. Tomoson suggests bloggers with whom you can make contact. Just type a keyword and the program provides you with a list of potential influencers and their stats. You’re able to view figures for their total website visitors, completion percentage, and more. There are other tools that can help with your blogger outreach, but what many people forget is that your best communication tools aren’t necessarily programs—they’re people. Apps have humans beat in terms of their speed, but at the end of the day, you want people to buy your product. That means you need to appeal to the human psyche, and no machine can do that for you. To add a human element, you may want to consider a blogger outreach company. Premium blogger outreach companies help connect you to influencers who they have vetted, maximizing their relevancy. Furthermore, these companies work with skilled writers to create dynamic content that engages your audience. Gryffin Media is one of the industry’s emerging frontrunners, having been featured in Wired, Forbes, TechCrunch, and Moz. They use their extensive list of connections throughout the digital marketing industry to pair your brand with an influencer from your niche. 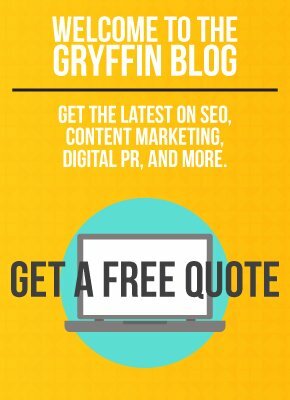 The ability to tap into influencers who produce large volumes of content for authoritative websites allows Gryffin to offer your brand access to huge amounts of traffic. Furthermore, Gryffin already has working connections with many of these influencers, which is not something to take lightly, since 65 percent of prominent bloggers are contacted by brands or agencies more than once a week. When you’re considering blogger outreach tools, it’s always worth looking at the hottest apps of the moment. Just don’t forget that a human touch can provide your campaign with a little something extra; a hint of authenticity or a dash of originality. The small details might seem unimportant, but they’re what audiences notice. Make them a part of your strategy and it could push you over the edge into success.